All the Nutrition Large Breeds Need, with Less Fat. Eukanuba Light Large Breed Formula is formulated with less fat and fewer calories than our regular large breed adult formula, but without sacrificing the special nutritional needs of large breed dogs. Eukanuba Light Large Breed Formula provides appropriate levels of protein, fat, and carbohydrates to help large breed dogs maintain muscle mass, with glucosamine and chondroitin sulfate, the building blocks needed to help build healthy cartilage and strong joints. It also contains L-carnitine, which helps overweight dogs to burn fat and maintain weight at an acceptable level. Plus, this formula, like all Eukanuba Dog Foods, provides fiber at appropriate levels for a healthy digestive system and lower stool volume. Eukanuba Light Large Breed Formula is made with real chicken as a primary ingredient, so your dog will like the taste--even without all the fat. Should Your Dog Be Fed Light Large Breed Formula? If your large breed dog''s activity level is reduced to a daily walk or less--or if your dog has been spayed or neutered--you may want to begin feeding Eukanuba Light Large Breed Formula. 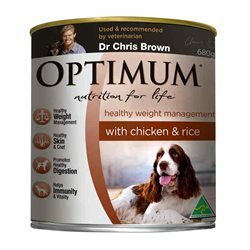 It''s specially formulated for large breed dogs whose weight is more than recommended, or those that have a lower activity level. Composition: Corn Meal, Chicken, Chicken By-Product Meal, Ground Whole Grain Sorghum, Fish Meal (source of fish oil), Ground Whole Grain Barley, Dried Beet Pulp (sugar removed), Chicken Digest, Dried Egg Product, Brewers Dried Yeast, Potassium Chloride, Chicken Fat (preserved with Mixed Tocopherols, a source of Vitamin E, and Citric Acid), Calcium Carbonate, Salt, Flax Meal, Sodium Hexametaphosphate, Vitamins [Vitamin E Supplement, Vitamin A Acetate, Ascorbic Acid, Beta-Carotene, Calcium Pantothenate, Biotin,Thiamine Mononitrate (source of vitamin B1), Vitamin B12 Supplement, Niacin, Riboflavin Supplement (source of vitamin B2), Inositol, Pyridoxine Hydrochloride (source of vitamin B6), Vitamin D3 Supplement, Folic Acid], DL-Methionine, Minerals [Ferrous Sulfate, Zinc Oxide, Manganese Sulfate, Copper Sulfate, Manganous Oxide, Potassium Iodide, Cobalt Carbonate], Choline Chloride,Glucosamine Hydrochloride, Dicalcium Phosphate, L-Carnitine,Chondroitin Sulfate, Rosemary Extract. 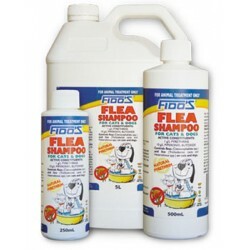 Have used this for many years for our Golden Retrievers. Received excellent service from IPetStore with a very quick delivery time. Will definitely be ordering through them again.